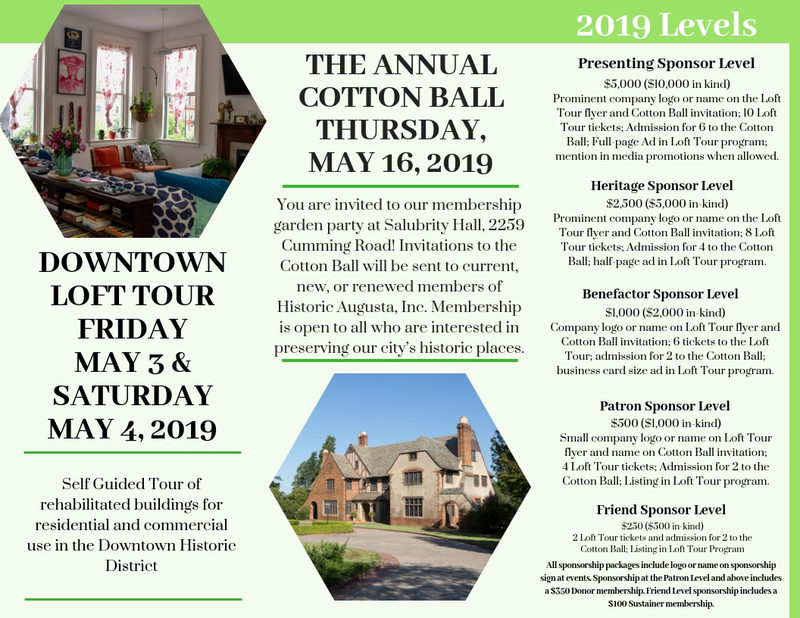 May is National Historic Preservation Month and to celebrate Historic Augusta holds two of our most anticipated annual events; the Downtown Loft Tour and the Cotton Ball. Your sponsorship supports the mission of Historic Augusta and assists in offsetting expenses that may be incurred planning these exciting events. 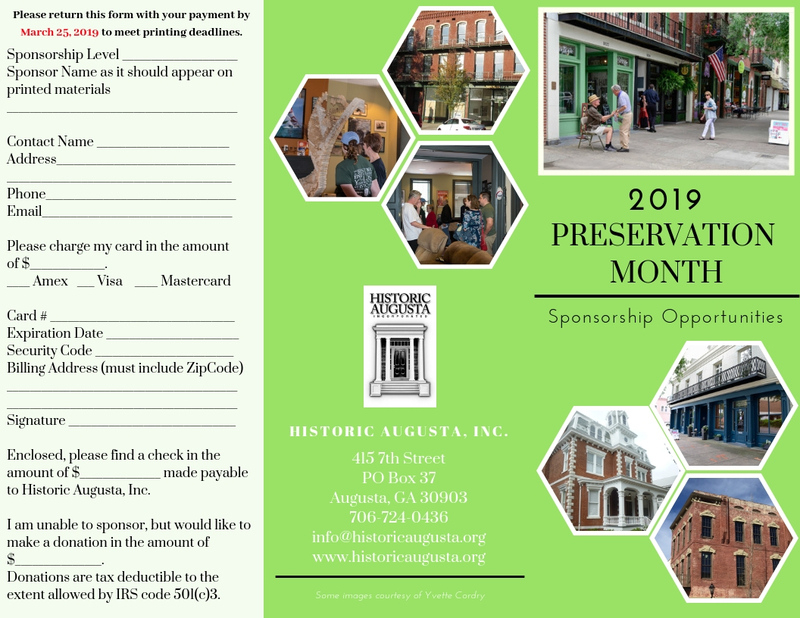 To learn more, please contact Robyn Anderson or Samantha Hargrove or please download a form here and return it to Historic Augusta.